Courtroom5 helps people represent themselves effectively in court. 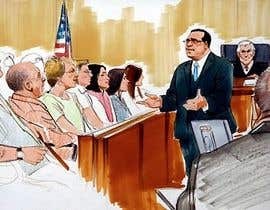 For a current project, we need cartoon drawings of courtroom scenes. One of the drawings must be of a possible site host/hostess in various poses (doesn’t have to be court related). Examples aren’t limited to these. Use your imagination. Don’t just draw them. Make them interesting. 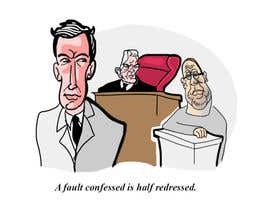 Show the comical side of litigation if you want. Our focus is civil litigation, not criminal, so no orange jumpsuits please. The final projects must be delivered in .ai or .svg format and fully editable. The selection of the winner will be based on quality and adaptability of the drawings. This contest will be reposted on Fiverr. I invite you to submit your drawing at that time.